I have been using Apoterra for years! It is soo good that even my husband loves it! He is a very manly man so him using my products is a big no no..But with Apoterra everyone loves it! whatever gender or age it always give us great results. I am converting our family. Deep cleanse without drying my skin out. I love this facial soap. It really cleans my skin without drying it out. 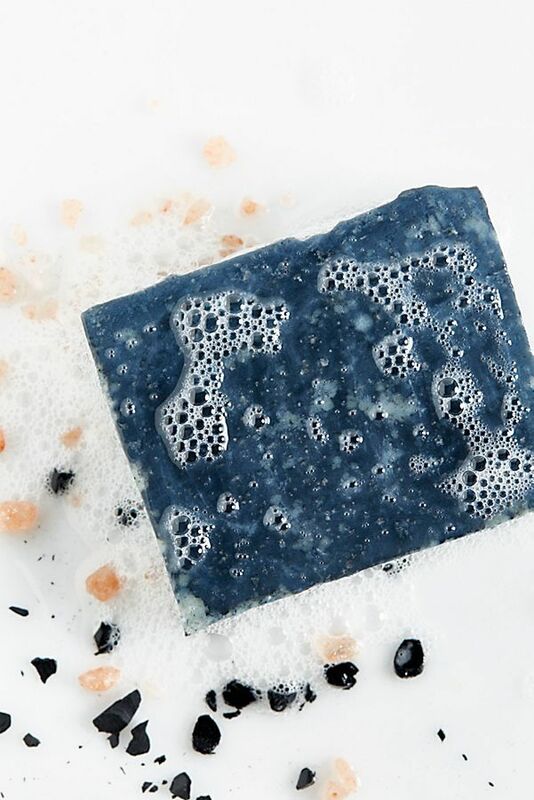 I've used other activated charcoal soaps and they always leave my skin feeling stripped of it's natural oils and very dry. This soap does a great job of cleansing while also keeping my skin feeling soft. I just bought the sample size and I'm very impressed with how long it's lasted. This soap is beautiful! I love the way it works with my skin, too. It made my sisters skin burn, though. So if you have super sensitive skin, I wouldn't recommend because it is very potent! Delphine P. Reviewed by Delphine P.
I ordered samples of this soap for my sons who have some acne issues and the soap has really helped in clearing up the acne. It’s not completely gone, but it’s only been a month so I’m about to order the full size version. ArtbyLiving H. Reviewed by ArtbyLiving H.